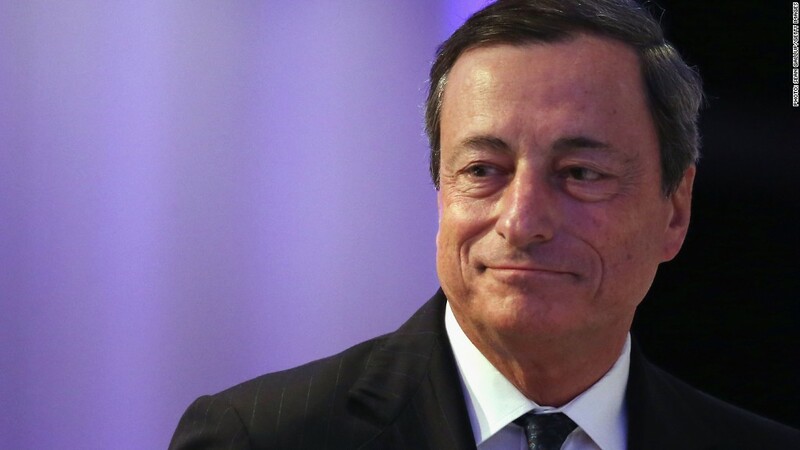 The European Central Bank unveiled a bold package of measures to boost the economy Thursday, including rate cuts and cheap loans for businesses. Worried that very low inflation could snuff out Europe's weak recovery and tip the economy into a downward spiral, the ECB cut its main interest rate to a record low of 0.15%. The central bank also took a step into the unknown by cutting its deposit rate from zero into negative territory -- the first move of its kind by a major central bank. That means the ECB will now charge banks for deposits they stash with the central bank. In theory, that will provide an incentive to lend the money to firms and consumers instead. The ECB also announced a series of steps to pump more cheap money into the eurozone. They include a series of new long term loans to banks aimed at boosting lending to businesses, and together could be worth almost 600 billion euros, according to Berenberg economists. Europe relies heavily on thousands of small and medium sized companies, many of which lack access to other sources of finance. ECB President Mario Draghi and other officials have spent the past month talking up the likelihood of action, and the moves were widely anticipated. The central bank stopped short, as expected, of introducing broad based asset purchases along the lines of the quantitative easing program pursued by the U.S. Federal Reserve, but Draghi made clear that option was still on the table. "Are we finished? The answer is no, if need be ... we're not finished yet," he told reporters. Draghi said the ECB still saw no evidence of eurozone deflation but said the longer inflation remained at very low levels, the greater the risks. Consumer prices rose by just 0.5% in the eurozone in May. The ECB targets inflation of just below 2% over the medium term, and on Thursday cut its own forecasts for the next three years. It sees consumer price inflation of just 1.4% in 2016. Very low inflation can be as damaging to an economy as excessive price increases. If households and businesses expect inflation to stay depressed for a long period, they may postpone spending and investment, triggering a downward spiral and raising the risk of outright deflation. It also makes it harder for countries to pay off debts, and forces weak European economies to make real cuts to wages to compete with countries like Germany. One of the factors driving down inflation has been the strong euro, which makes imports cheaper. The euro had fallen 2% against the dollar over the past month in expectation of ECB action, bringing some relief to European exporters and potentially easing the downward pressure on prices. The euro slipped further Thursday. European stocks rose -- Germany's DAX broke above 10,000 points for the first time -- and bonds in weaker eurozone economies such as France, Italy and Greece gained ground. "[Draghi] is doing everything short of full QE to support the economy, and that will be reflected in stronger asset prices generally," said Kit Juckes at Societe Generale. But it will take much longer for the stimulus package to work through to the real economy. Draghi said it could be 9-12 months before the impact will be seen.